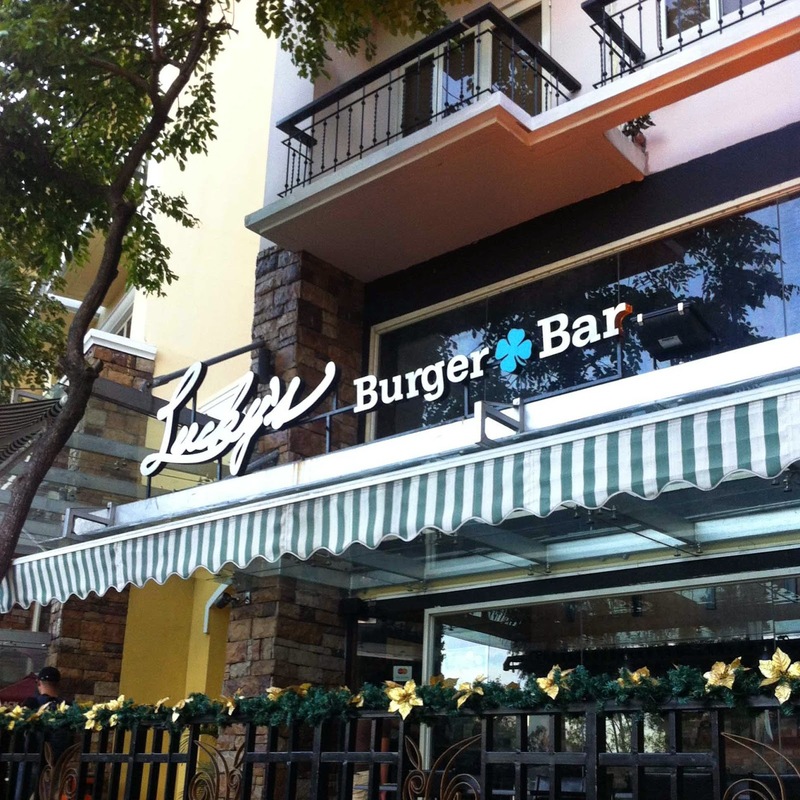 Ever since the restaurants opened in Tuscany, McKinley Hill, I've only been up to a handful of restaurants like Banapple, SF Bistro, Bag-O-Shrimps and my recent addition to this seemingly growing list, Lucky's Burger & Bar. The place was actually just near the office. As it turned out, I was just over thinking. Tuscany in McKinley Hill is quite a street with all the good restaurants in it and I thought it was farther, but I was wrong. From Venice Piazza, it's just past Black Canyon Coffee--probably the second restaurant you'll see from that side. 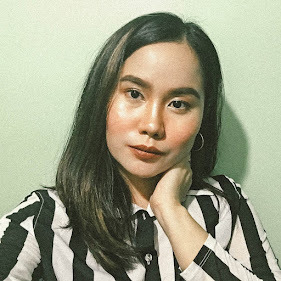 I'm not really into pork and sometimes beef, so yeah, I don't enjoy lechon, crispy pata, pork chop, liempo, bagnet, and yes, even bacon. 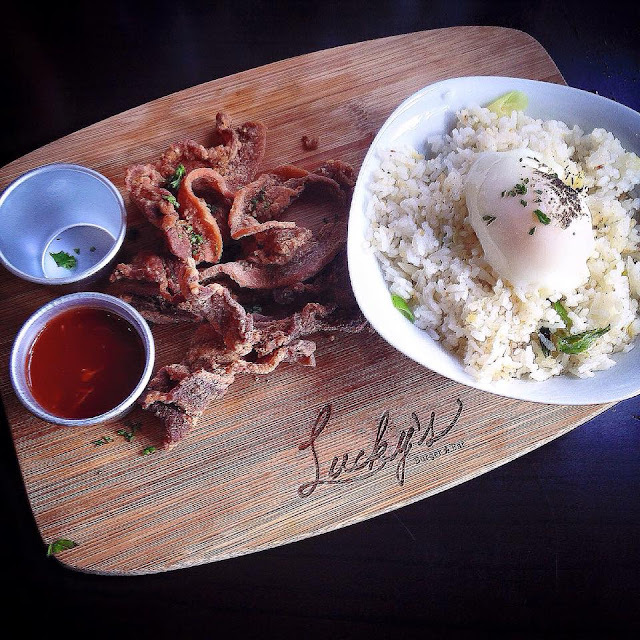 But I have to admit, I salivated when I saw When In Manila's post about Lucky's Burger and Bar's bestseller--their Crispy Bacon with poached egg and garlic and chives rice. Actually, just typing that made me hungry again! and garlic and chives rice for Php 170. For this impromptu payday Friday brunch date, the boyfriend and I decided to try the best sellers at Lucky's. I suddenly felt my craving for that crispy bacon... We both agreed and went there. It was about past 1 pm already when we had our first meal of the day and surprisingly, the place isn't that crowded considering it's payday and it's Friday. Apparently, aside from the Crispy Bacon meal, Lucky's Burger & Bar's best sellers include Buttermilk Fried Chicken Chops with coleslaw and pesto rice for Php 175, 2 pc. Peri-Peri Chicken for Php 215 and BBQ Beef Brisket. I ordered the Crispy Bacon while the boyfriend got himself the Buttermilk Fried Chicken Chops. What's funny is that whenever we eat, I usually am the one to order chicken or fish/seafood and he'd go for something with bacon or beef--but not this time. This was actually the first time that I ate bacon. Ever. And know what? I loved it! 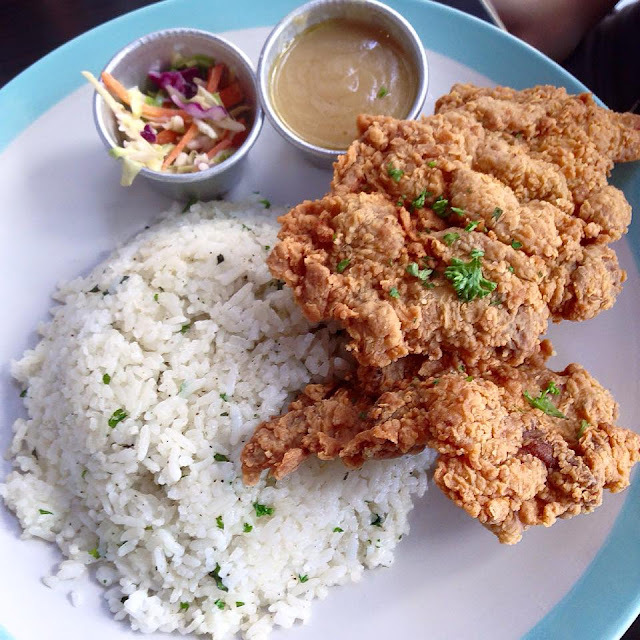 The Buttermilk Fried Chicken, on the other hand, tasted really good especially with the pesto rice and the gravy! You can really taste the herbs and the buttermilk on the chicken fillet, although I think there's too much breading on the chicken chop which makes it look bigger than the fillet's actual size... Don't get me wrong, I love it! I even went back to Lucky's for dinner to have the buttermilk fried chicken naman for my dinner. Tee hee.